I can’t tell what colour the orchestra soundtracking the trailer below are, but they are very good, lending a contemporary Romantic feel to proceedings. 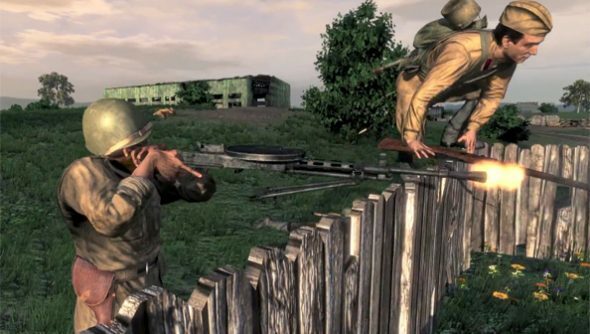 But there’s scant romance to be found in Red Orchestra 2’s peculiar brand of long distance murder, as evidenced by goings-on in its new map – an update of Red Orchestra 1’s Barashka. The free Fall update has also seen developers Tripwire straighten out Countdown mode, making it “much easier to understand”. And then there’s the Workshop, actually added a couple of weeks ago but unspotted by us. It’s already filling up nicely with maps and mutators. We talked to Tripwire’s Alan Wilson recently about the Workshop and the relative rarity of good mod tools.